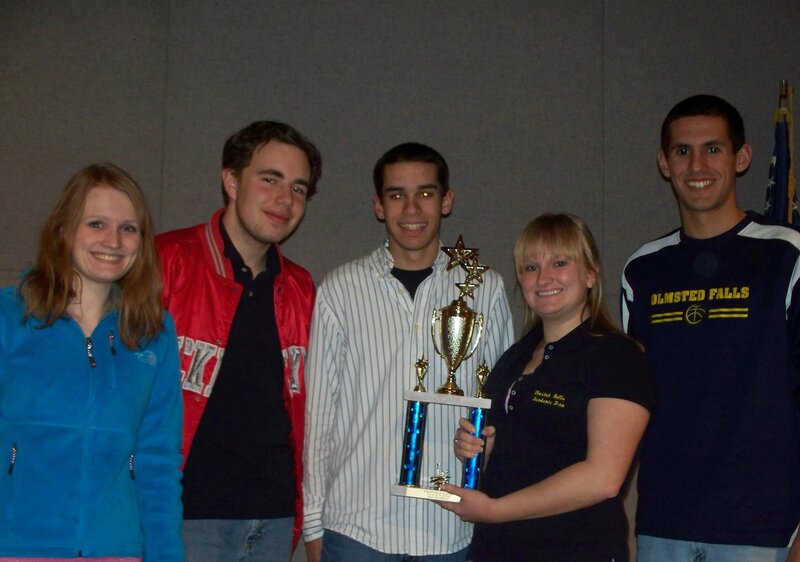 Congratulations to the OFHS Academic Team for their continued tournament success. On Saturday, February 13, the Academic Team participated in a NAQT National Qualifying Tournament at Solon High School. A, B, and C Teams participated. This tournament boasted 32 teams from Ohio, Indiana, and Kentucky. Our A Team won the entire tournament going 9-2 on the day. Our B and C Teams each posted records of 5-5. Attached is a picture of our A Team with their trophy! Jim Coury, Mike Coury, Emily Nageotte, and Chris Traylor were our A Team members at this tournament. Pam Keller, Tom Hoy, Ethan Kocjan, Lucus Alstadt, Marty Mendenhall, Richie Mendenhall, Sohan Vartak, and Brad Sevcik rounded out our B and C teams. On Sunday, February 14, the Academic Team participated in a PACE National Qualifying Tournament at Solon High School. Our A Team was the only team that participated in this event. They won the entire tournament going 9-2 on the day, including an exciting overtime match with Northmont HS. Attached is a picture of our A Team from Sunday with their trophy! Jim Coury, Mike Coury, Emily Nageotte, Chris Traylor, and Pam Keller were our A Team members for this tournament. Jim Coury also took home #1 individual scorer honors for the tournnament. On Tuesday, February 17th, the OFHS Academic Team competed in the NEOAL (North East Ohio Academic League) “Spring” Tournament held at Baldwin-Wallace College. Olmsted Falls 7-0, Twinsburg 6-1, Garfield Heights 5-2, Bay Village 4-3, Fairview 3-4, Highland 2-5, Lutheran West 1-6, and Columbia 0-7. Congratulations to OFHS students, Nick Macek and Shom Mazumder, who both finished 2nd in the National Student Congress Competition this past weekend. Congratulations to the members of the OFHS bowling team, who finished 2nd in the Northeast Ohio Sectional Tournament, just 55 pins out of first. The Bulldog Bowlers now advance to District competition on February 27. Congratulations to OFHS Hockey player Cory Daugherty who has been selected as 1st Team All White Division, and 1st Team all White West Division. Additionally, congratulations to Collin Brady who was also selected to the 1st Team all White West Division for the 2009-2010 season. Chaz McGrain (152) 37-1 and Shane Gareau (160) 30-6 won individual SWC wrestling Championships this past Saturday at Brecksville High School. 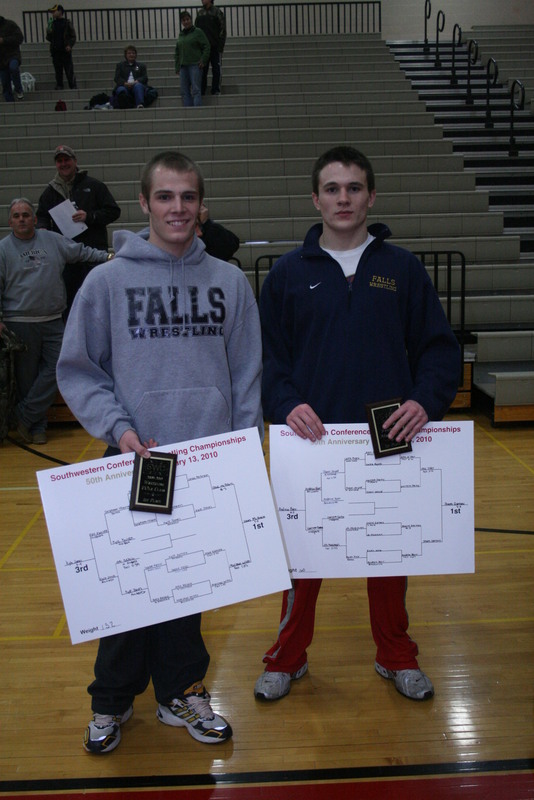 Congratulations to Chaz McGrain and Shane Gareau, who earned 2010 SWC champions this past Saturday at Brecksville. On Friday, OFHS JV wrestlers winning SWC Titles were Nick Andler, Nick Sommer and Alan Binggeli. A complete list of SWC place finishers can be found on the OFHS wrestling website at http://www.ofwrestling.com. 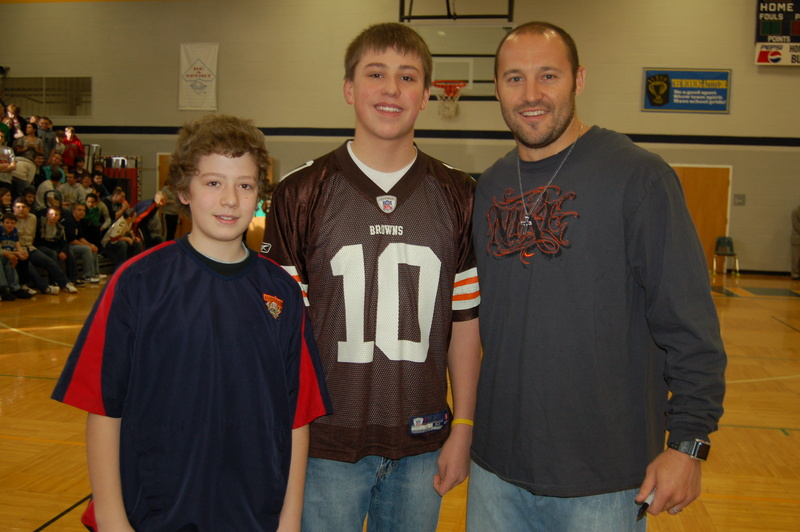 Mike Furrey, of the Cleveland Browns, spoke today to OFMS students about making good nutritional choices. Cleveland Browns wide receiver Mike Furrey helped serve up breakfast to Olmsted Falls Middle School students this morning as part of an initiative to help tackle childhood obesity. During his appearance, Furrey joined students for breakfast in the Middle School cafetorium – even serving up a few meals to surprised students. Following breakfast in the cafetorium, Furrey spoke to a packed gymnasium as all 6th, 7th and 8th graders got the opportunity to hear his motivational words. Furrey’s stop at Olmsted Falls Middle School was one of several in a series of special appearances in connection with “Fuel Up to Play 60,” a new initiative aimed at tackling childhood obesity through healthy food choices and daily physical activity. The schools Furrey is visiting are just several of more than 3,000 Ohio elementary, middle and high schools across Ohio participating in the program, which equips youth ambassadors with information about healthy eating and physical activity strategies to teach their classmates. Each school enrolled in the program participates in numerous activities tailored to their school that revolve around tracking daily healthy behaviors to win prizes and rewards throughout the program. Furrey’s appearances are made possible by the Children’s Hunger Alliance, the Mike Furrey Foundation and the American Dairy Association. I would like to take this opportunity to thank all of our faculty and staff members who participated in last Thursday night’s “Battle of the Schools” PTA basketball game. This event raised $4147 to help provide scholarships for our 2010 graduating seniors. 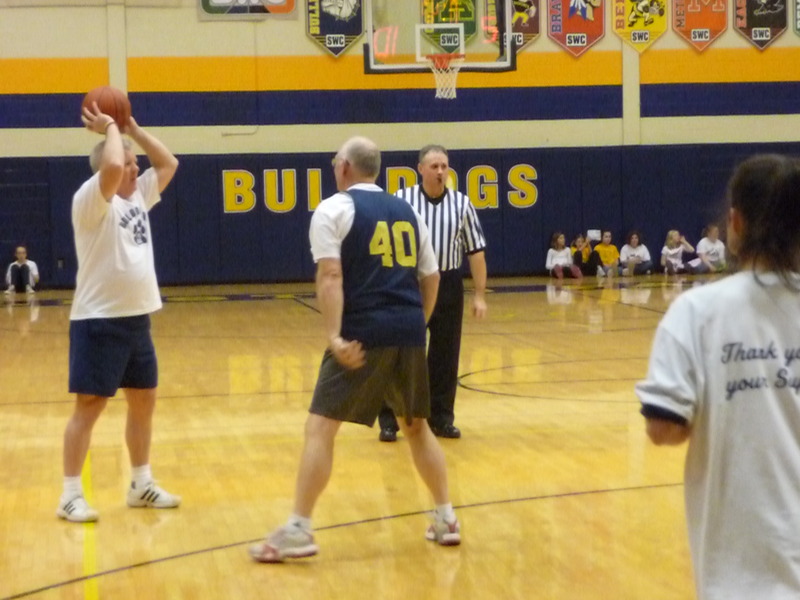 Falls-Lenox principal, Mr. Roseberry, led his faculty to a 2nd place finish at the 2010 PTA Faculty Basketball game. This event raised over $4,000 for student scholarships. Thank you to all of the fans who attended this game. 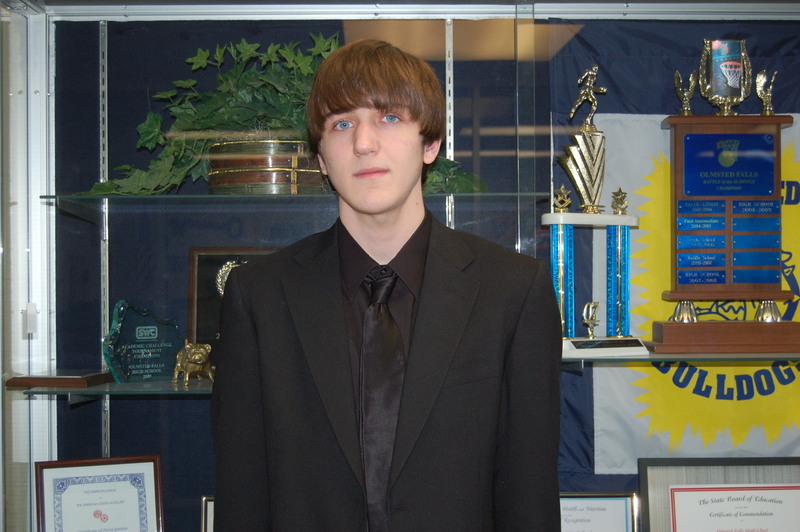 Congratulations to OFHS senior, Alex New, who has been named a 2010 National Merit Finalist. Annually, approximately 1.5 million U.S high school students vie for National Merit recognition and 15,000 are chosen for this prestigious honor. In the coming weeks, our 8th grade students will begin planning their high school program for next school year. 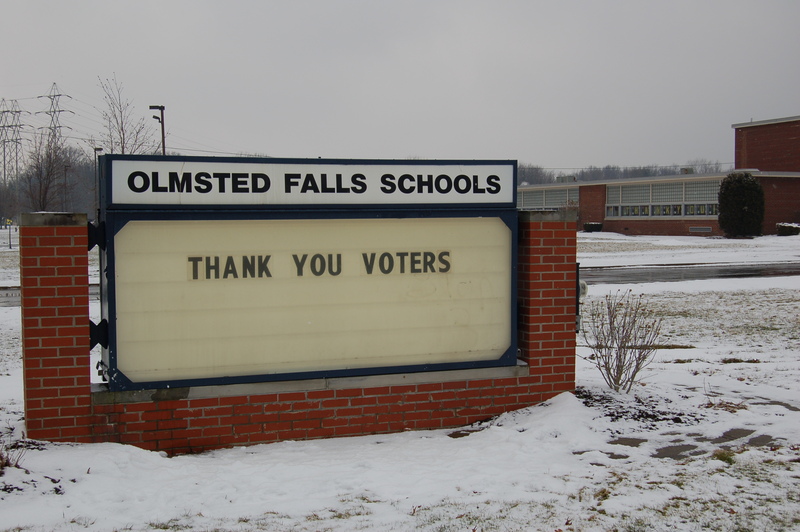 Many important decisions are made which will affect the courses these students will take during the next four years at Olmsted Falls High School. All parents and students are invited and encouraged to attend an evening orientation at the High School at 7 p.m. on Monday, February 22, 2010, in the auditorium. During the orientation, topics such as guidance services, high school courses and curriculum, the Ohio Graduation Test, graduation requirements, and scheduling will be discussed. A letter will be sent to all 8th graders about this orientation meeting and the scheduling process. If you are an 8th grade parent and have not received a letter by Friday, please contact Ms. Lisa Meinhardt, School Counselor, at (440) 427-6116. Congratulations to Olmsted Falls High School senior Taylor Ballard, who signed a letter of intent to play soccer for the University of Akron this fall. Taylor is a 4-year varsity letter winner who has earned numerous awards during her athletic career at OFHS. In 2009, Taylor was named Offensive Player of the Year and also named to the SWC 2nd Team. She received a SWC Honorable Mention in 2007. Taylor led the team in goals, scoring ten during her senior year. She is a very versatile and talented team player. Taylor has been recruited by the University of Akron as a Defender, and is leaning toward teaching as a major. Congratulations again to Taylor! Taylor Ballard (center), with Assistant Varsity Girls Soccer Coach Nikki Altenweg (left) and Head Girls Soccer Coach Kelly Yurick (right), signed a letter of intent to play soccer at the University of Akron this fall. John Oravec, Scott Loeffler, Max Miller, Natalie Brdar, Ben Brown, Eric Miranda, Shom Muzumder, Nick Macek and Derek Dissell. 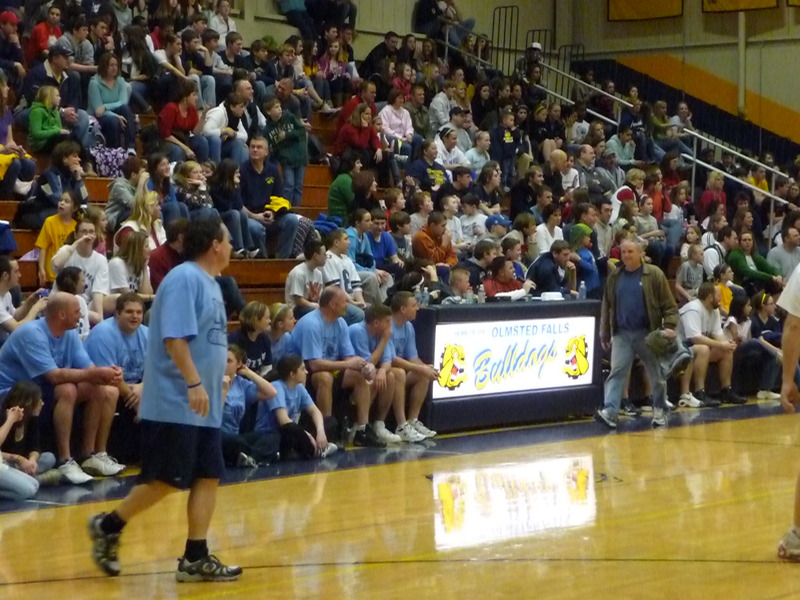 A reminder that this Thursday at 7 PM in the HS gym, the teachers and staff of our respective buildings will renew their annual rivalry in the 2010 Battle of the Schools. This PTA sponsored event is a major source for revenue for the annual PTA student scholarships. Tickets will go on sale beginning at 6:30 PM. A preliminary look at January figures shows Ohio state-level revenue $108.4 million below the estimate for the month and approximately $99.6 million, or 1.1%, below estimates for the year. The Ohio personal income tax lagged estimates by nearly $140 million, or 15.6%. This information comes about a month after the Ohio legislature passed House Bill (HB) 318, filling an $851 million gap. That bill delayed by two years the last of five planned 4.2% income tax cuts. On the positive side is the performance of the Ohio sales tax, which came in above estimates for January by $10 million, or 1.5%. The sales tax is currently above projections for the fiscal year to date by about $22 million, or 0.5%. Ohio voters will be given an opportunity to decide the fate of the Columbus casino site location. The Ohio legislature approved a May ballot issue that proposes moving location of the Columbus casino from the downtown Arena District to the city’s west side. Some of the debate included an unsuccessful attempt by Youngstown-area legislators to allow for a casino in that region. The Ohio legislature will now turn to an implementation bill for the casino issue that passed in November 2009. As most of you may already know, yesterday’s levy met with success, passing by a respectable margin of 54.5% FOR / 45.5% AGAINST. 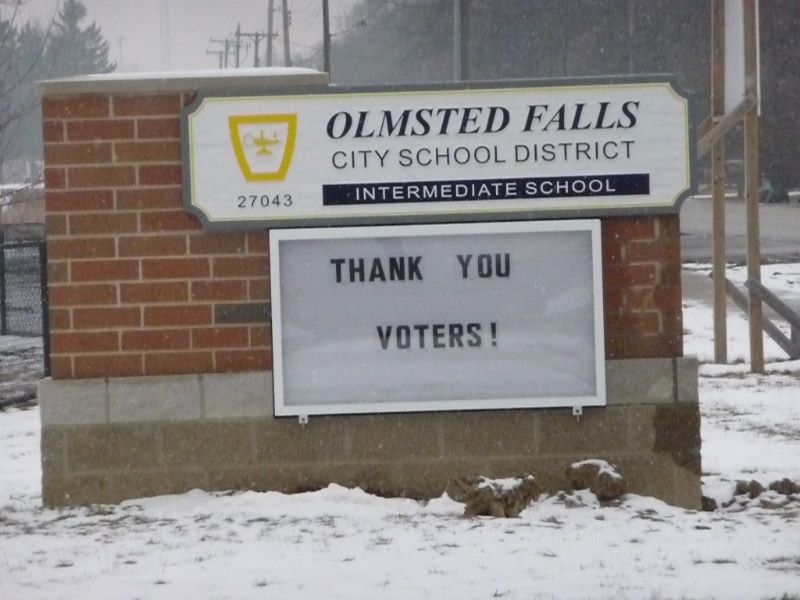 I am truly humbled by the commitment and dedication of the Pride Committee members, who never waivered in their efforts to tell our great story and mobilize the Olmsted Communities in support of our schools. This army of volunteers included parents, students, grandparents, community members, faculty, staff and Board members – all coming together to preserve Excellence in Education in this community. On behalf of the Board of Education and myself, I would like to thank each and every one of you who took an active role in this levy campaign. These countless campaign efforts were only made possible by the collective effort of all. Thank you for your personal time and support. In the weeks ahead, we now turn our attention to repairing our School District. While the passage of the levy will not bring new revenue to our District until January of 2011, we will soon begin the process of reinstating K-8 busing services. We are targeting Monday, February 22nd as the date in which we will “switch back” to the K – 8 transportation system that was in place from the start of this school year through December 31, 2009. A letter providing additional transportation information has been prepared and we hope to mail letters to parents this Friday. Please note that as the District begins designing bus routes for the 2010-2011 school year, some of the efficiencies, such as “group bus stops” will be reintroduced into operation. As we begin to tend to the logistical matters that will put our District back together, we must not lose sight of the fact that our community has, in these difficult economic times, entrusted us with their financial support, and our community expects us to continue to operate in our tradition of both excellence and efficiency. We must continue to make cost-savings a top priority, as it will still take a great bit of time and effort to put our District back on a solid financial footing. In closing, I again extend sincere thanks to all who voted in yesterday’s election. As school district leaders, our mandate from this election is that we must extend an attitude of gratitude toward these persons who have given us the tools we need to continue our mission of providing the children of this community the quality education they need in order to be prepared for this very competitive 21st century. The Cuyahoga County Board of Elections has released the unofficial precinct results from yesterday’s election. To view a copy of these results, please click here. This is the first message posted to the new OFIS sign.